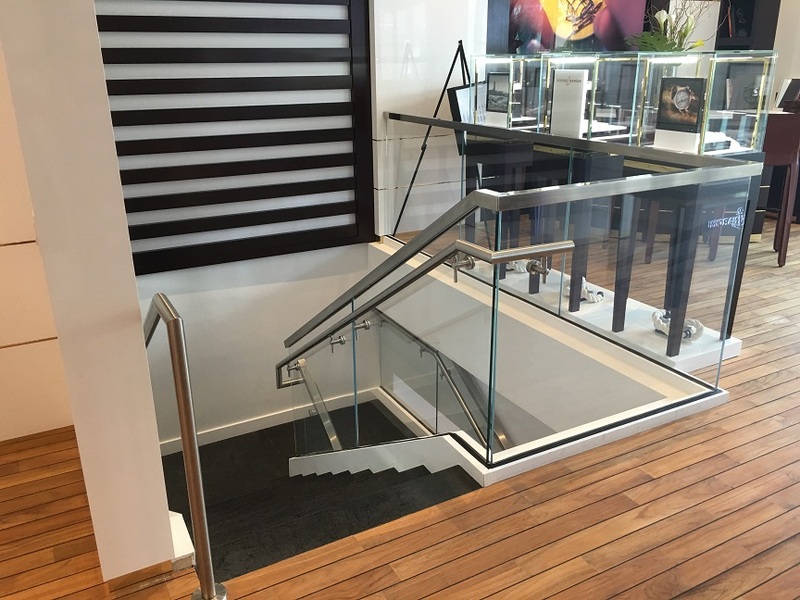 Located in the heart of Miami’s very own Design District’s Palm Courts, you can find one of our very own commercial staircase designs! 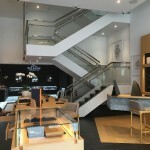 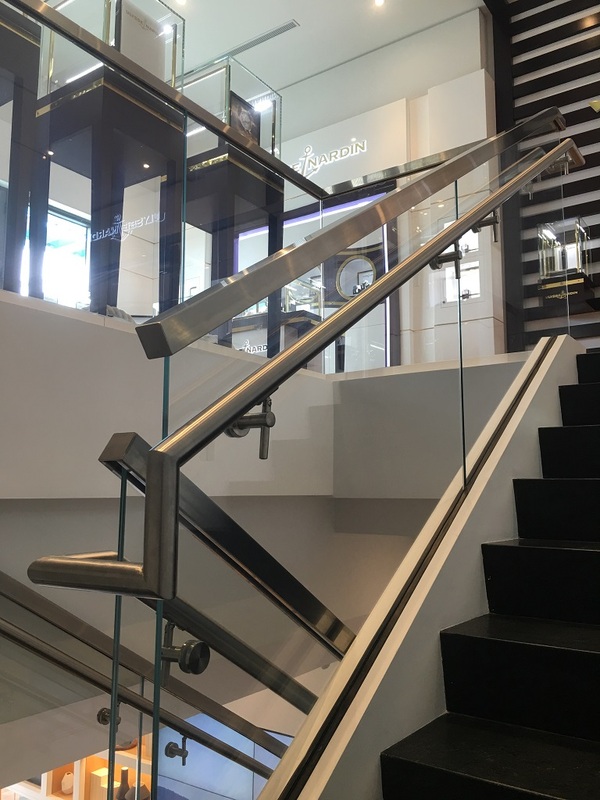 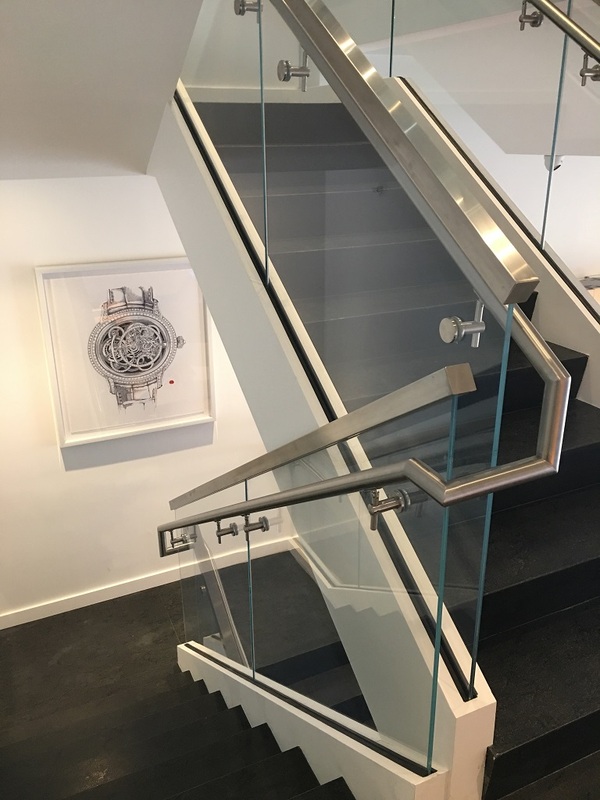 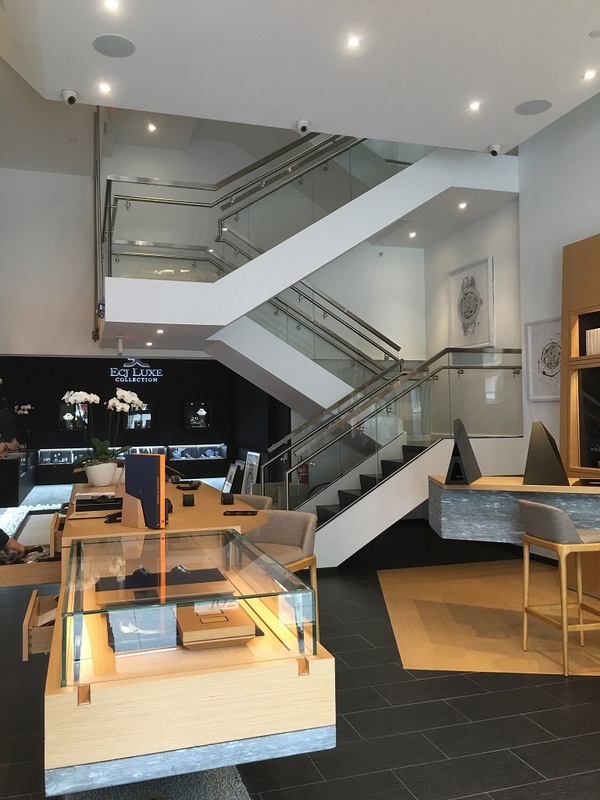 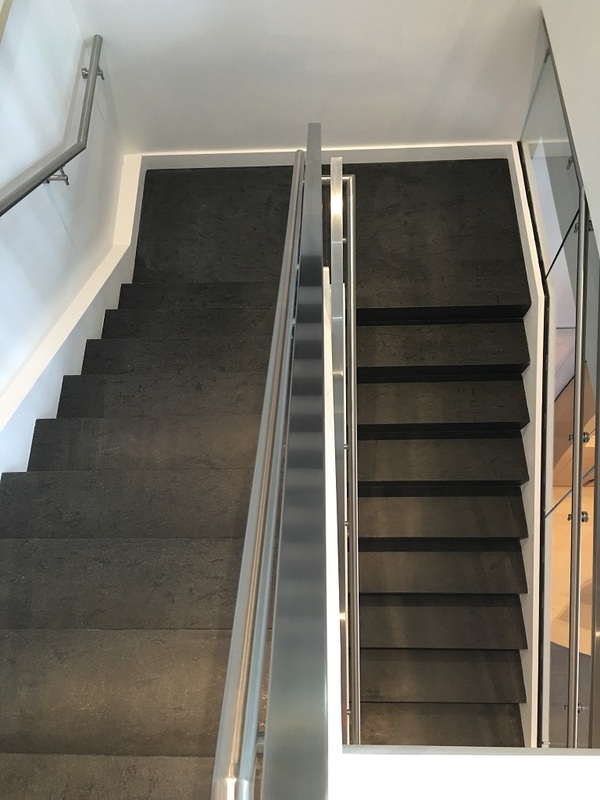 In one of the few stores where they combine two separate corporations under one roof; we composed a tasteful staircase design that features glass and brushed stainless steel elements. 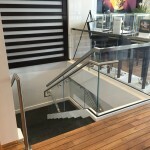 This commercial staircase design includes three enlarged landings, one in which is completely floating! 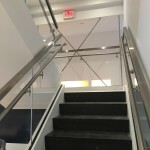 Laminated glass panels were installed along the staircase and continue onto the second floor guardrail with a squared top-mounted stainless steel cap rail. 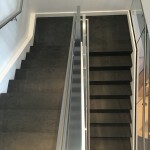 As you ascend up the stairs, you are met with a rounded stainless steel handrail on both sides. 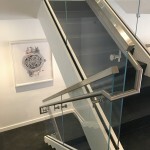 The handrails were mounted directly onto the glass railings and transition to being wall-mounted as you reach the second floor. 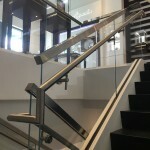 The streamline details allow for a clean and aesthetically pleasing look.